Many thanks to Jess Rinker & Meeg Pincus for writing this blog post for us! We couldn’t be more thrilled when our attendees make life-long friendships at our workshops. In July 2017, a seed of friendship was planted at The Highlights Foundation’s Master Class for Writing Nonfiction for Children and Young Adults. Little did we know, two years later, that seed would grow into a nonfiction project featuring both of our books, as well as the books of other authors and illustrators we admire. Our friendship bloomed as we exchanged coast-to-coast emails after our Pennsylvania retreat, sharing stories of writing, life, and motherhood. Most of us classmates have stayed in touch after the retreat, actually, as the experience always creates strong bonds among creatives, one of the best reasons for attending. That, and the incredible menu. And, of course, the learning. At the Nonfiction Master Class, both of us were assigned the wonderful Gwendolyn Hooks as our mentor for the week. 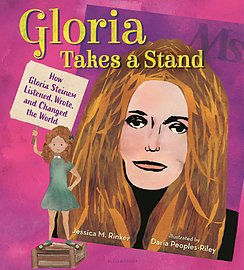 Jess was already agented and had sold her picture book biography of Gloria Steinem, which comes out this month. 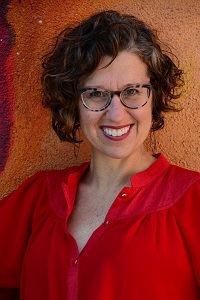 She used her time with Gwen to work on a biography of Brenda Berkman, who became one of NYC’s first women firefighters after suing the department for discrimination in 1977. About six months later, that book sold to Bloomsbury and is slated for publication in 2021. Meeg mostly used her time with Gwen to bounce ideas and ask questions, then signed with an agent and sold two books to Sleeping Bear Press soon after. 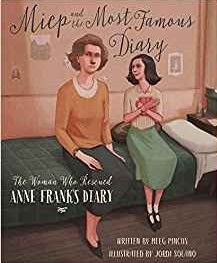 One, about Miep Gies, the woman who saved Anne Frank’s diary, comes out this August. The other, about all the people from Canada to Mexico who helped track the Great Monarch Butterfly Migration, comes out in 2020. We’ve gained more than writing successes, however. We’ve gained connections and friendships that in many ways are paramount to success. One thing we’ve learned on our journey–both individual and joint–is that supporting one another always leads to a happier and healthier experience as a writer, as a mother, as a person. There’s no reason or room for competition in the world of writing for children. We’re all here for the same reason–to bring books to kids. And for us especially, to bring true and inspiring stories to kids. This is where our love for nonfiction, and specifically picture book biographies, comes from. A picture book biography (PB bio) is often a child’s first introduction to art or history, and a building block to learning empathy. Not simply bedtime stories, these books can be used in classrooms all the way through middle school. Jess actually knows of a high school that puts on theatre productions based on picture books, so let’s correct that…all the way through high school! This year, we both have a picture book biography coming out–Meeg’s about Miep Gies and Jess’s about Gloria Steinem. In early February, we got an idea. What if we started a promotional group for 2019 picture book biographies? Many kidlit authors, writing for all ages, create promo groups. In the world of social media, it’s a great way to lift each other up, not to mention get a taste of the amazing books coming to shelves! We were already a month into 2019, but we decided to do it anyway and we got cracking. As we thought and talked, our idea gained focus and clarity. We decided to limit the group to 19 traditionally published books (releasing in 2019), to keep it small and manageable. We also decided to focus on diversity, of both book subjects and of the creators themselves–to amplify and celebrate the way PB bios can be a particularly important platform for marginalized voices. Lastly, we wanted to try to include authors and illustrators (not just authors, as some picture book promo groups do). Our mission clear, we named our project 19PBbios and set out to find the 19 books that fit the bill. We researched PB bios releasing this year, and reached out through our personal networks. Within three weeks, we had our 19 books–each one about and by people whose voices have been on the margins historically (women, people of color, LGBTQ+ people). Pulling together the 19PBbios website for our March 1 launch, we got more and more excited about the caliber of books and creators we had gathered. 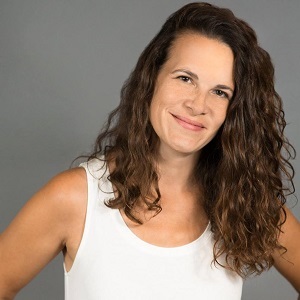 Several Highlights Foundation faculty members are part of 19PBbios, including our mentor Gwendolyn Hooks, Rob Sanders, Bethany Hegedus, and Miranda and Baptiste Paul. You can learn from many of these fabulous folks this year at The Highlights Foundation as well: check out the Master Class in Writing Nonfiction for Children and Young Adults, from July 13-17, and Writing Picture Book Biographies, from October 2-5. Take it from us–you can’t go wrong with these workshops. The kidlit world is a small and wonderous place. We often feel like we come full circle and go back around again. Gathering with like-minded souls at The Highlights Foundation is a sure-fire way to plant seeds of connection in kidlit. Whether attending workshops as a student, helping out as a TA (as Jess does now), or joining in cross-promotion with so many incredibly talented author and illustrator alumni, we see so many benefits flourishing from this network. But, it’s honestly so much more than a network. It’s a safety net, an inspiration space, a never-ending source of support, and a garden of precious friendships.